Spark plug and vehicle technologies have come a long way. Some cars in the 1950s had a recommended interval of 5,000 miles for changing the plugs. Today, through advancements in design and materials, some cars can meet or exceed 100,000 miles without a change. A 4-cylinder 2009 Hyundai Accent has its first recommended spark plug change at 30,000 miles for both normal and severe conditions. Likewise, a 4-cylinder 1990 Honda Accord recommends a plug change every 30,000 miles or two years. Several manufacturers advertise “long life” spark plugs. Using precious metals such as silver, platinum, gold and iridium, these plugs have an advertised life close to 100,000 miles. An 8-cylinder 2010 Hyundai Genesis has a recommended plug change interval of 97,500 miles, driving in normal conditions, using iridium-coated plugs. 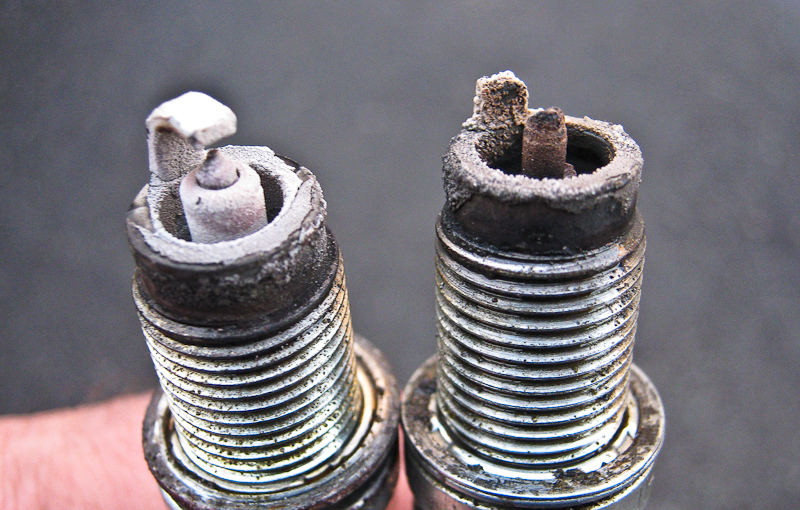 If you detect performance problems like slow pickup or poor gas mileage, check your spark plugs as a possible cause. Replace them if you find evidence of damage to the insulator (body near the head) and the electrode (metal points that form the “gap”). 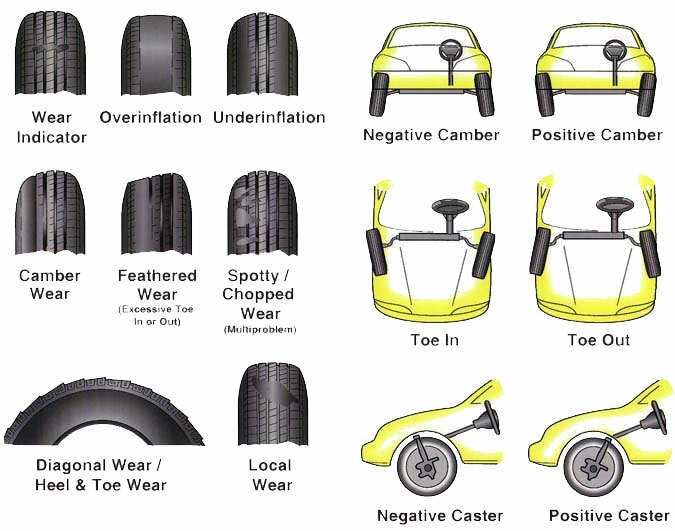 Various mechanical conditions contribute to quicker spark plug wear. 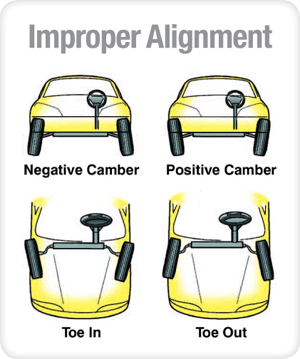 The piston rings may wear out, letting oil seep in and foul plugs. The distributor and ignition wires may wear out, resulting in less electrical power delivered to the plugs. With continuous development of new technology for vehicles and plugs, spark plug lives will keep increasing. Removing and checking the plugs yourself can give you valuable clues on when they need replacement. Changing the plugs when needed is a cheap investment for keeping your car running strong. Our goal at Texas Auto is to make your car buying experience the best possible. At Texas Auto we pride ourselves on being the most reliable and trustworthy used vehicle dealer around. Texas Auto has the largest selection of pre-owned vehicles in the Clear Lake Area! The Chevrolet Corvette was unveiled in January, 1953. The original Corvettes were only sold to celebrities and special customers. GM wanted its cars to be seen driven by elite to build the sports car’s fame. To say the least, the Corvette was an instant star, generating a cascade of attention from the media and the public. That was the first generation. Fast forward seven generations and Corvettes are owned and loved by many. 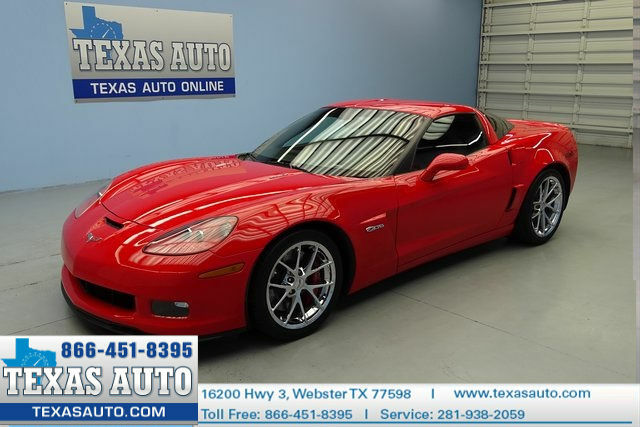 Texas Auto has several Corvettes available- come test drive one today. 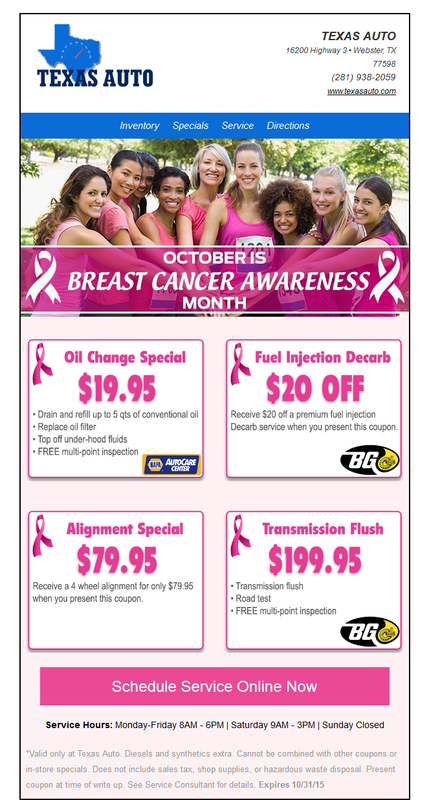 Before your next trip to Texas Auto, check out these four printable coupons. Whether you need a quick fix, or a more intense repair, Texas Auto has the knowledgeable staff and fantastic service to keep your car running the way you know it can. Saturday, October 31, 11AM-2PM: Bring your dog and join us for Yappyween! Prizes awarded for best human and best dog Halloween costume! Dog treats, candy, and other goodies will be provided! Fun for all ages! 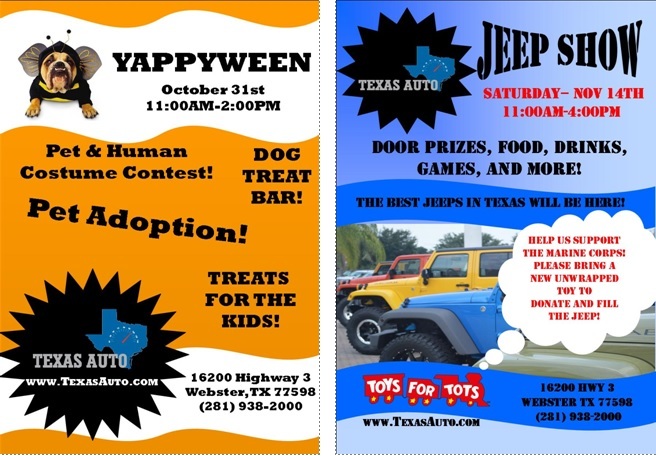 Saturday, November 14, 11AM-4PM: “Toys for Tots” JEEP SHOW! Door prizes, food, drinks, games, and more! The best Jeeps in Texas will be here! Please bring a new unwrapped toy to donate and fill the Jeep! 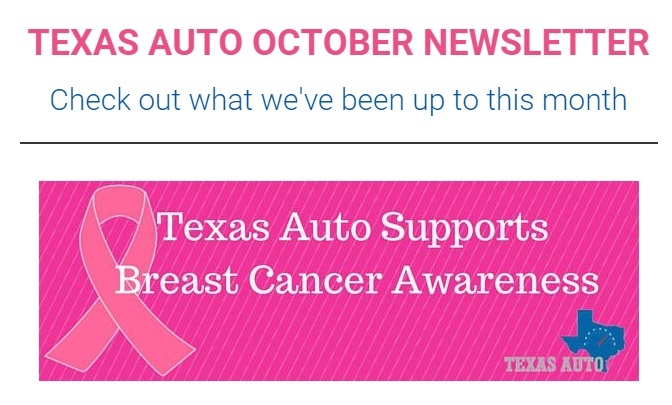 Follow Texas Auto on Facebook! 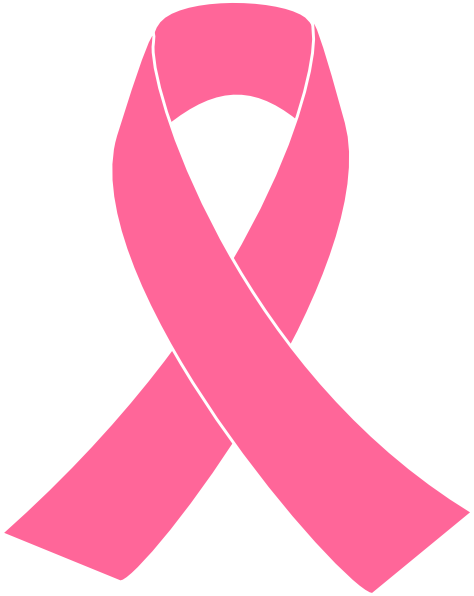 October is Breast Cancer Awareness Month, which is an annual campaign to increase awareness of the disease. While most people are aware of breast cancer, many forget to take the steps to have a plan to detect the disease in its early stages and encourage others to do the same. A lot of progress has been made but there is still a long way to go! Please help by donating to The Rose. About The Rose: Board Certified Radiologists, specialized technical staff, two Mammography and Diagnostic Imaging Centers plus a fleet of Mobile Mammography vans offer advanced breast cancer screening and diagnostic services including mammograms, ultrasounds, biopsies and access to treatment to more than 35,000 women annually. Since its launch in 1986, The Rose has served nearly 500,000 patients and is now the leading nonprofit breast health care organization in southeast Texas. To meet the needs of insured and uninsured women (and sometimes men) in the Houston area and surrounding counties, The Rose depends on revenue from paying customers, grants and donations. You can be a part of the caring community that makes The Rose more than a health care provider. Donate, volunteer, or schedule your appointment online or by calling 281-484-4708.